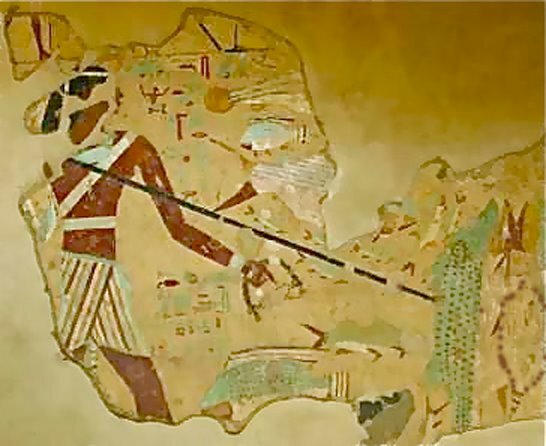 Two fish were very powerful symbols in ancient Egypt and as I often repeat the simple iconography of ancient Egypt has far more knowledge than it looks. The representation of these two fish and their meaning are deeply interesting as you will see. Both fish are : Tilapia and the Nile perch: Lates niloticus (wrongly called "Captain"). And if in iconography, there was often a man spearing both at the same time, in reality it was quite impossible. And that's where it gets interesting. Indeed, if tilapia is a fish living in shallow water, mainly in lakes, river banks or ponds, the lates is living in the waters dark and deep, in the bed of the river. You could not catch them at the same time and therefore the representation of a man catching both at the same time , has a hidden meaning. The name Tilapia is a Latinization of "thiape" in the Tswana language of the Bantu (Niger-Congo languages). 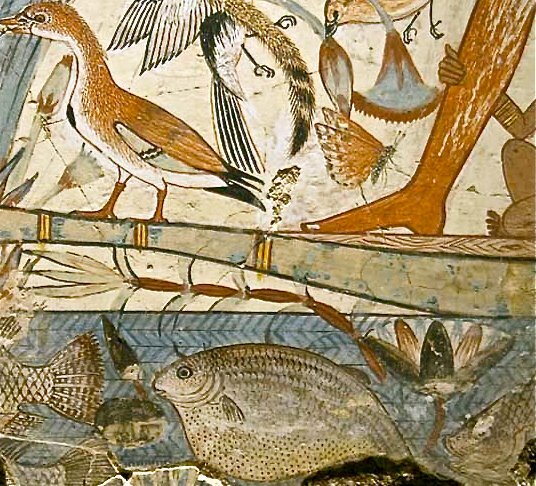 And in ancient Egyptian tilapia was called "in.t" and had its own hieroglyph (Gardiner k1 in the list). Tilapia in China is known as loufei 罗非鱼 because the Nile was called "niLOU" and Africa "FEIzhou" = LOUFEI. 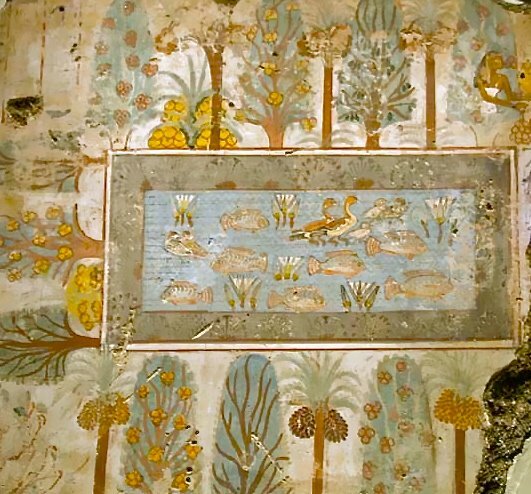 One of the oldest Egyptian bas reliefs representing the tilapia date of 4000 years and shows tilapia raised in ponds. 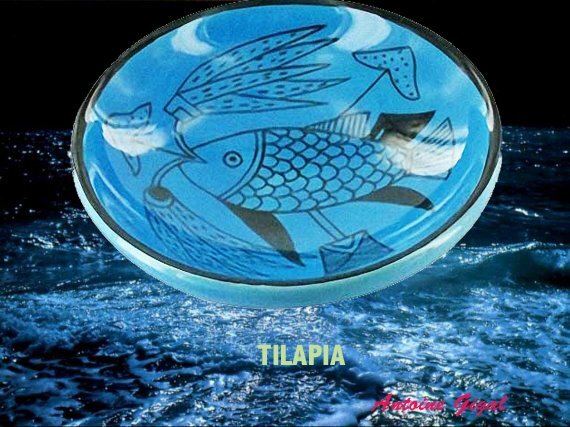 Tilapia was associated in many ancient poems with sunrise and the light blue of turquoise, but also with the heart because of its beautiful red glints by moments, because it could be rich in color. It strongly symbolized life and fertility of the sun. And Tilapia was associated with protection too because the female is during danger sheltering her babies in its mouth. Then Tilapia is cleaning the lotus stems of its micro organisms so that you get the impression that the flower and the stem of the lotus is going out from its mouth. On the other hand, the lates, was associated with the night and the dark blue of lapis lazuli. The lates is named « Mbuta » in Nilotic Luo languages and is a fierce predator that can eat even his own race. It is linked to destruction and darkness. And catching at the same time, two so different fish, in the ancient Egypt iconography is first : to be didactic, a good teaching method to remind and warn about the properties of the different fish but it is mostly a representation for man of his control on the day and on the night : it is to say his mastery on his destiny. Indeed the day was assimilated in Ancient Egypt to the light so to the visible past (the « enlighted yesterday ») and the night to tomorrow (the invisible future, the dark). The Past was harmonious, "foreseeable", "known", because behind us, and the Future: unknown ,full of dark chaotic forces linked to the lates that is able to eat his own race. The righteous man's place is just in the center, in the "now", mastering his destiny that is these two forces. Our challenge as human beings is to overcome the difficulties that holds the future and to prepare it, to harmonize it, to put order and balance (the Maat of Ancient Egypt) and I am always amazed of how we fail to take the amount of work and energy it is, into serious account. 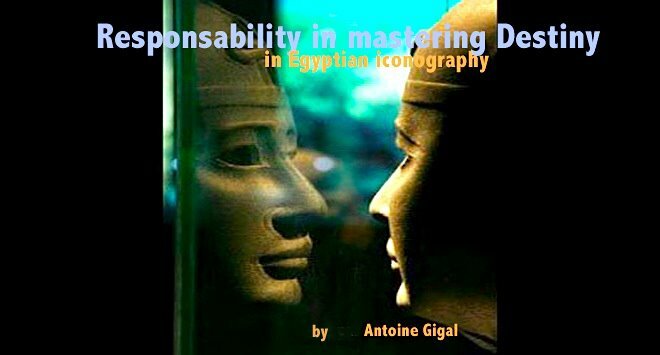 To harmonize the Future and to keep the balance or to restore it, is one of the most important tasks of humanity and was well understood by the Ancient Egyptians, because for them, this was the assurance of our immortality and ensuring stability of the higher dimensions where we have to evolve after death. The Future depends on us and if we don’t take care of it, it just contain the worst disasters, but we are co-creators and we must not forget our responsibility in this regard. At any time we can make a difference by our actions and thoughts and it has many implictaions, if we face with clarity the situation. According to oral tradition's I was taught, the most powerful prayer of the Ancestors in Egypt was "God preserve us from any bad future!" The iconography here played its role by transmitting the message.